It’s human to lie. Most of the time we can’t even be honest with ourselves. Fate is what happens to you in spite of all your plans. In order to induce the process of decay, water is necessary. I think that, in the case of women, men are the water. Last week I wrote about Izanagi and Izanami. A Japanese creation myth. O Sensei Morihei Ueshiba, the founder of aikido, spoke about this myth. I just found out this week – to my surprise – that the popular Japanese crime writer Natsuo Kirino wrote about the myth as part of a series on world mythology. 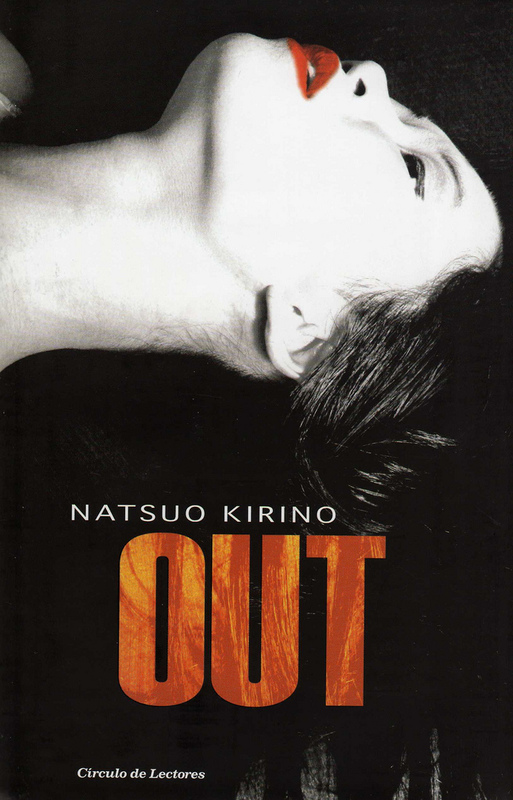 Three of Natsuo Kirino’s modernist noir novels have been translated into English. Out, Grotesque and Real World. They are very dark psychological thrillers. A little like Jim Thompson or James M Cain perhaps. Ice-cold and matter-of-fact. As her stories develop Natsuo Kirino likes to shift the perspective by using different narrators. This is a technique used in Rashomon, one of Akira Kurosawa’s most famous samurai movies. Rashomon was based on two stories by Ryunosuke Akutagawa: Rashomon and In the Grove. Narrators do not always tell the truth. Or perhaps they do not understand the real truth. That is called an unreliable narrator. But innocently mistaken or deliberately disingenuous? To find out you’ll have to read the books. And see the movie. Natsuo Kirino’s main characters are mostly powerful women. And many of her characters are somehow outsiders in Japanese society. Perhaps she even thinks of women as outsiders in Japanese society. She used the English word Out – with its many layers of meaning – as the title for her book in Japanese. But for example Out is also about Japanese Brazilian shift workers. The story of the Japanese diaspora is very interesting. There were waves of emigrants from Japan at the end of the nineteenth century and in the early twentieth century. At the end of the twentieth century there were waves in the other direction as Japanese Brazilians and Japanese Peruvians and many others came to Japan to find work. First, second and third generation descendants of Japanese have certain rights to Japanese nationality or visa status. Famously invoked by Alberto Fujimori the former President of Peru in an attempt to escape prosecution. For a while anyway. And of course the Japanese diaspora includes all the Japanese aikido teachers who left Japan. I talked about that briefly in exiles. Thanks for your comment Carina and the information about Laura González’s book blog http://www.cargadadelibros.com/. Of course please put as many links as you want. But I think comments might get automatically classified as spam if there are more than one. Thank you Niall for this post, I mentioned, read and saw Rashomon when I did my post about Death and Ghost dog, the main character of this movie lends the book to a girl. I liked Rashomon and Ghost Dog a lot. I also did a post about Emperor Akihito who made a waka poem for his visit to Gunma prefecture( where several brazilian live) for the 100 aniversary of the emigration from Japan to Brazil. because your post is about them.